Today is the first day of fall, but when you find yourself living in one of the hottest places in the United States of America, it still feels like the beginning of summer. 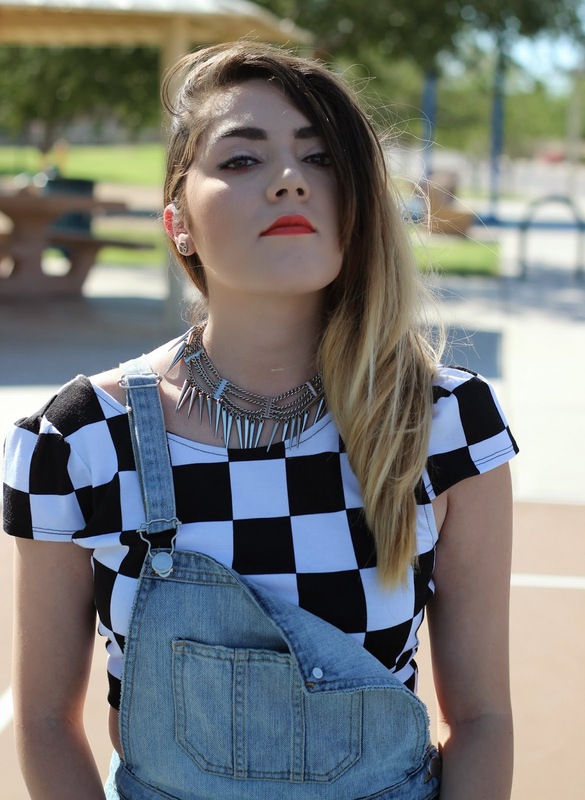 Ever since I can remember, I've loved overalls, or basically anything that's one-piece suits. They can be completely versatile pieces; you can dress them up or dress them down. Pair them with crop tops, or pair them with button-up blouses, this is one staple item that is here to stay in my closet. Ahora es oficialmente el primer dia de otoño, pero cuando se encuentran viviendo en uno de los lugares mas calientes de los Estados Unidos, se siente como si apenas fuera el principio de verano. Cuando miro hacia atrás, siempre recuerdo que me encantaban lo overoles, o todo lo que fuera de una pieza. Los overoles son muy versátil, y los pueden combinar con crop tops o suéteres, pero como sea, esta es una pieza que nunca faltara e mi closet. 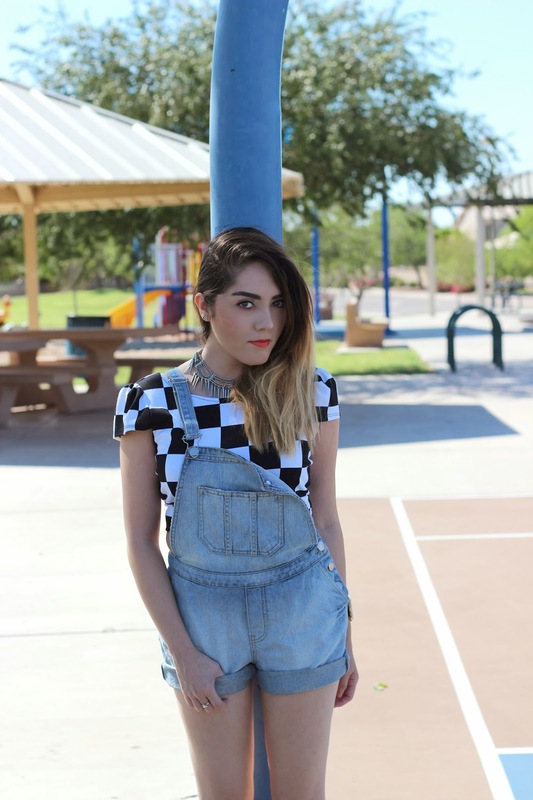 What is your opinion on overalls? Love them or hate 'em? Que piensan sobre los overoles? Los aman o no? Amazing outfit your pictures are just amazing!!! What camera do you use??? Your just beautiful!!! me gusto muchísimo el collar! !